In the areas closer to the Arctic Circle, the month of June is full of suggestive stories – after wintery darkness being defeated, breath-taking white nights proclaim the Summer Solstice. When the nature is in full blossom, even rain and winds do not spoil the magic. Therefore June is something to cherish and Acronym is exactly doing that, with the help of sound-emitting machines. 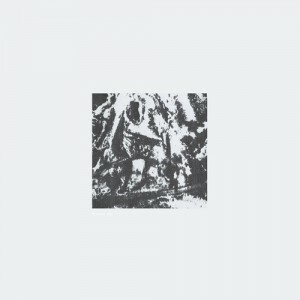 For Acronym, “June” is the fourth release on Northern Electronics. Initially seen as Abdulla Rashim’s experimental side activity, the label has become an established outlet with a strong roster on Nordic artists. Sound wise it is located in the crossroads of tripping pagan rites for the floor, granular ambient and suffocating, blood-stained experimental tones, as often heard on the tape releases. In “June”, Acronym has created a sonic journey made up of an uninterrupted narrative of nine individual tracks. The album’s first half is dedicated to the search of harmony in electronic music, a web of relaxation woven with occasional darker notes. The chilly opener “Isolated From The Land” navigates on a subterranean river with the water dripping from the cave ceiling and equally placid “In The Swamp” is only distracted by a semi-acidic modulation. Perpetual keyboard theme reigns in true-blue ambient esoterica “No Exit”, a bright and mysterious piece that is exploring Klaus Schulze’s trails in lunar dust. “Humid Zone” arrives in the aftermath of monsoon showers, the presence of percussive elements recalling Balinese gongs and bells. The tranquil and more experimental phase comes to an end when “Centering” and “Realisation” take us to the tripping sector that promises waterproof club material. Less exciting than the album’s restrained part, it still offers madly pulsating electronic witchcraft in “Back To Understanding” or similar feelings thanks to the drum work of “The Eye”. However, the closing chapter “Letting Go Of It All” is a real culmination with atmospheric pads reminding of classic Eevo Lute tracks. “June” is quite similar to Varg’s recent “Ursviken” on the same label, where rougher tracks follow to the ambient first part. However, if looking for more rumble, Varg is your thing.